When people hear that I work in Manchester it triggers comments about football – generally ‘do you support City or United’. While the England football team failed to turn the words of the song used by their supporters ‘Football’s Coming Home’ into a reality earlier this summer at the 2018 World Cup, locating the 2019 ESA conference in Manchester arguably means that sociology is returning to one of its central roots. I realise that such a claim is bound to be contested, but bear with me a while longer. Manchester is a place where both political and economic events have had consequences the world over. As a discipline of modernity sociology has its origins in the momentous social changes of the 19th century. Engels’ study of The Condition of the Working Class in England is an early example of an empirically informed critical analysis of the inequalities of industrial society. You will find a statue of Engels in Manchester, though it is not a relic of Manchester’s past nor the result of recognition by the city council or its universities, it was recently brought from Ukraine by a local artist and is prominently placed in one of Manchester’s newest cultural quarters: in no better place could this statue be located than outside a film and music venue named ‘Home’. Manchester was home for Engels and, therefore, also for sociology? Two years ago we were adjusting to a new European reality: that the EU could lose members as well as gain them. The Brexit vote was presaged by increasing political tensions resulting from long term austerity and has been followed by further indications of a ‘new politics’ of the time underpinned by what have been traditionally described as nativist concerns. A dimension of this has been to raise questions over the legitimacy of expert opinion and of science in general, though these doubts are, of course, deployed with considerable partiality. Going back further, while it is simplistic to point to the inability of economists to predict the financial meltdown of 2008, this has a face validity that helps us understand how antagonism towards experts and science can take hold. Similarly, who foresaw the series of populist successes at ballot boxes across Europe, and the subsequent hardening of nationally focused policies? It is pertinent to ask why it is that so few social scientists managed to predict these eventualities despite an enormous amount of effort, let alone funding, being devoted to understanding society. Were we sociologists looking the other way when it came to noticing that society had changed to such an extent that it assumed that continuities broke down and political volatility became the norm? An important exception here is the discussion in her 2015 book Crisis, by Silvia Walby, the ESA’s first president. The theme of the 2019 conference, “Europe and Beyond: Boundaries, Barriers and Belonging” invites analyses of the contemporary situation that Europe is in as well as thoughts about where it might be going. As sociologists do we challenge each other sufficiently, especially in relation to the big issues? An old colleague of mine used to say that he had stopped reading the Guardian (UK politically left of centre newspaper that has its origins in the Peterloo massacre – more on that later) because he felt that it was rotting his brain. He meant that if we are insufficiently confronting, and confronted by, our opponents we will lose our intellectual sharpness and our ability to hone our arguments. As well as the need to challenge ourselves is the increasingly prevalent issue of how we deal with ideas and values that we find abhorrent. Is it acceptable to rule such opinions as out of order, and deny them a platform? Arguably, all ideas, however distasteful should be regarded as in need of serious debate. Are we, however, ready to accept that open debate means that ‘dangerous ideas’ should be discussed and not dismissed? This, at least, ensures that counter-arguments are refreshed and maintained. Freedom of speech, often taken for granted, is under threat across parts of Europe to the extent to which there are EU countries where university leaders are deliberately stifling debate and creating the conditions for a dogma led agenda. Universities should be spaces of open debate, and silencing those whose view we oppose opens up the possibility that we might be silenced ourselves should circumstances change. The beauty of Sociology is its variety, the ‘Chaos of Disciplines’ described by Andrew Abbott, a tendency for internal debates to result in perennial confrontations between rival theoretical and methodological perspectives is perhaps its greatest strength. This strength of debate across the discipline guarantees continuing relevance such that when only a few, let alone over 3,000, sociologists come together we can be sure that there will be a broad spectrum of views expressed. For sociology to be able to influence the levers of power – if that is an appropriate goal – we need to have credibility premised on rising above ideology. We should go where the evidence takes us and use our work to lead opinion. Most of us are well aware of our personal motivation to work on a particular topic as well as the methods we choose to use. Most social scientists are interested in improving society yet we also understand that our objectivity is always tempered by our values and our experiences. Is the role of sociology to interpret and understand social issues or is it to seek to influence them? Marx raised this issue in the Theses on Feuerbach, and as we know sided with the latter. 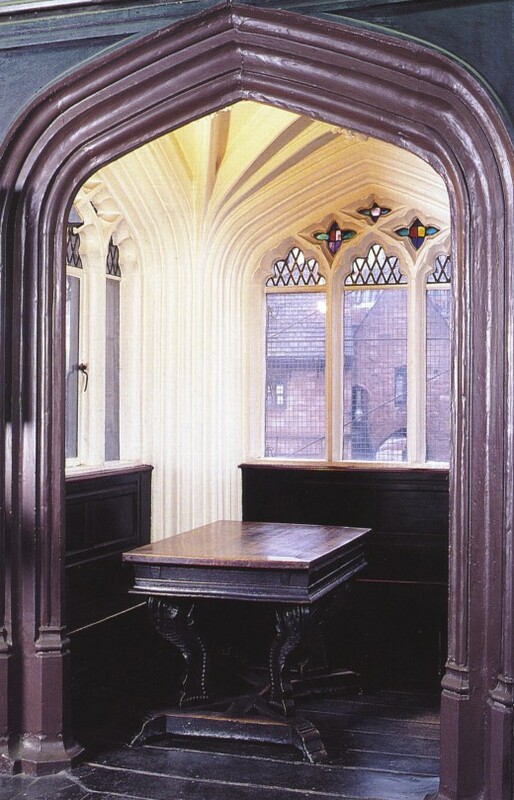 It may even be possible that these theses were drafted in Manchester at Chetham’s library in the city centre (when you come to the conference you can visit the desk at which Marx and Engels worked in 1845). What should you expect in Manchester beyond conference venues, the plenary speeches and network sessions? The marketing brochures will point to the beauty of the surrounding countryside, to sport (Football and cricket, cycling and athletics, swimming and gymnastics), to culture (classical contemporary and popular music, theatre, arts), industrial and political heritage, increasingly important devolved political structures, international transport hub, future looking city, northern economic powerhouse, city of long established ethnic communities from across the world. It has all of this and more. We hope to be able to show some of these off to you as part of the social programme and that you will stay on (or come early to visit others). However, Manchester is also a place like many others, with people, families, schools, workplaces, shops, leisure centres and a swathe of acute social problems, which would benefit from more systematic sociological analysis. There is a need to get beyond the marketing headlines and ensure that the everyday and ordinary remain in focus. The inequalities of all cities should be exposed with a view to making changes for the better. While the local universities represented on the conference Local Organising Committee have a strong international outlook we also seek to contribute to our local communities. The conference will be held during the 200th anniversary of the Peterloo massacre, an event which took place only a few meters from one of the conference venues: The Bridgewater Hall. A crowd of over 60,000 were protesting in favour of parliamentary representation and the authorities sent in armed cavalry resulting in many deaths and injuries. As an early 19th century indication of the ways in which the tensions between groups in a rapidly modernising society could spill over into violent conflict, what better an example to warn us of the need for vigorous debate with a view to ensuring that the long arc does indeed bend towards justice.